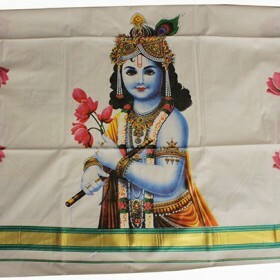 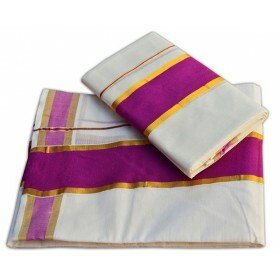 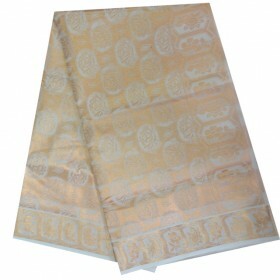 It is a beautiful Cream and light rose combination kasavu saree with krishna print on pallu and..
It’s a traditional mundu for men’s. 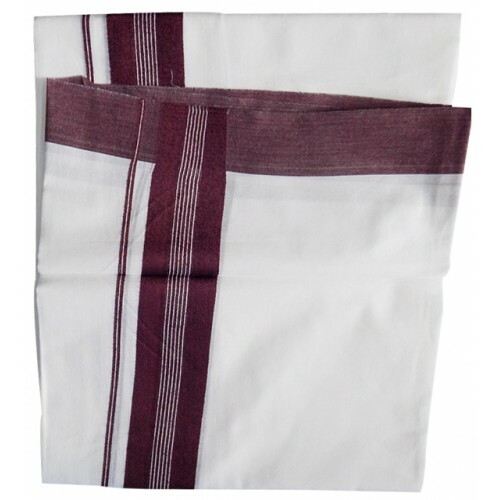 In vertically of the mundu brown color border in the middle of that white color lines to the border makes more attractive while wearing. 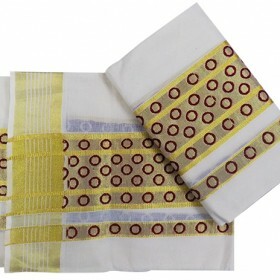 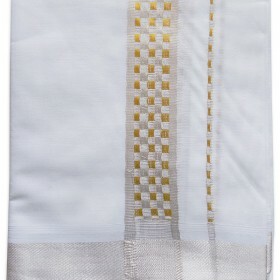 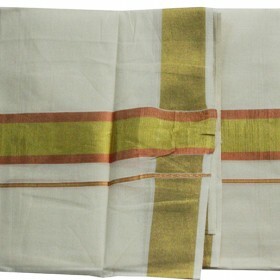 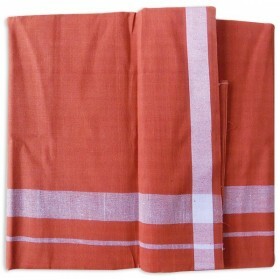 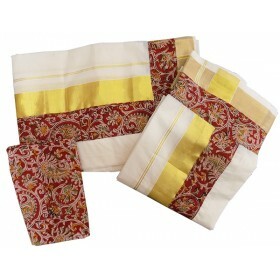 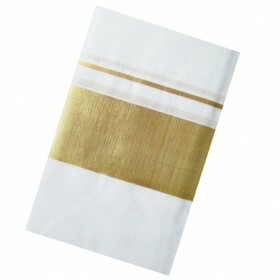 White color mundu with the brown color bottom border is also more highlighting.